Humans is an English remake of a Swedish science fiction series about a group of synthetics (androids) who have real consciousness like humans, and live in a world where synthetic's services are common and not regarded as people. The second season is currently showing on ABC2 and iView in Australia. Are you watching it, and if so, what do you think? Is it as good as, or better than the first season? 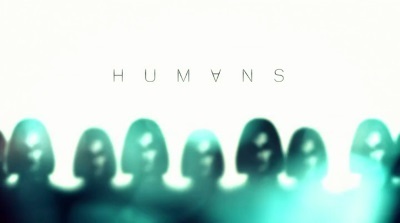 Humans sounds fairly similar to the sci-fi cop show Almost Human which aired on Fox a couple of years ago. I loved Almost Human. It's sad that Fox canned it without even finishing the first season. I haven't watched Humans yet, but I'll be checking it out for sure! I haven't see that one yet, might check it out. Humans isn't a cop show though. I watched the first series and loved it. I am recording the second series and will watch it all in one or two goes, so do not yet know if I like it. Usually the second series is not as good as the first, with the exception of Dr Who. I'm enjoying it so far. Carrie Ann Moss as Athena is good, and I like the plot line about Niska's trial. The cop who is a synth but doesn't want to be is an interesting character (so come to think of it it is a little bit of a cop show).